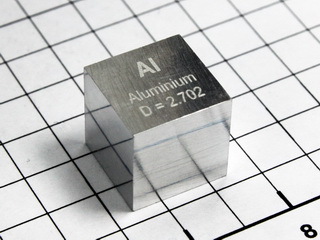 Aluminum was discovered by Hans Oersted in Copenhagen, Denmark in 1825. 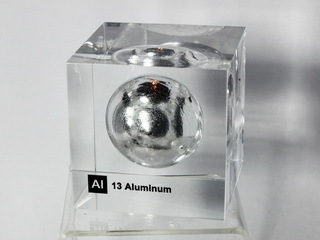 Aluminum is a silvery white reactive metal which is usually covered by a tenacious oxide coating. 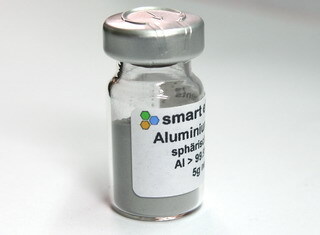 This renders it inert to acids, but it is attacked by alkalies. 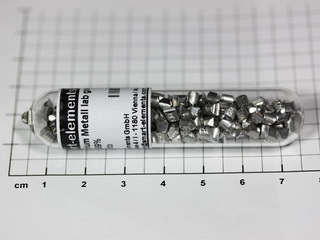 It is the most common metallic element in the earth's crust (82000 ppm) and is extracted from the hydrated oxide, Bauxite, by electrolysis of the oxide dissolved in molten sodium hexafluoroaluminate (cryolite). 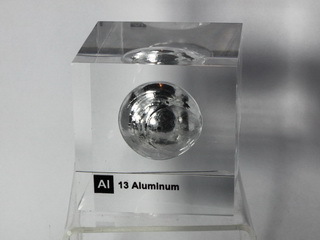 The metal has good thermal properties and is malleable and ductile. 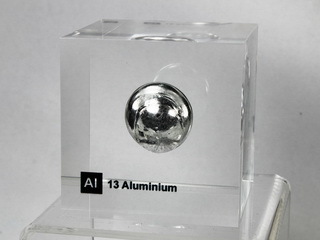 Aluminum and its alloys are widely used for various applications including aircraft assemblies and engine parts.